22 Things To Do In Albuquerque - Plus Map & Tips for Your Visit! 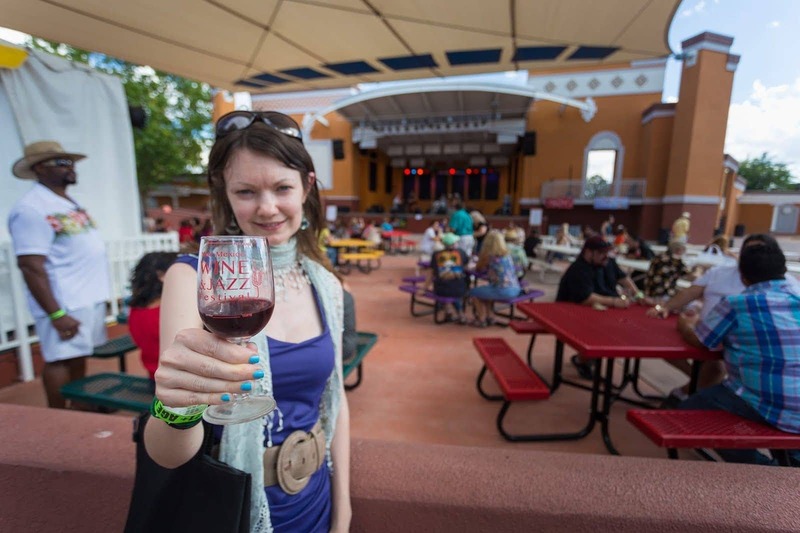 Heading to New Mexico, and looking for things to do in Albuquerque? We’ve got you covered! Jess used to live in the city, and we’ve also visited on a number of occasions, both as part of our Route 66 road trip, and also for the Albuquerque International Balloon Fiesta. As you’re about to discover, there are a lot of things to do in Albuquerque, and most of it has nothing at all to do with Breaking Bad. So, without further ado, here are our favourite things to to in this beautiful New Mexico city. 14. 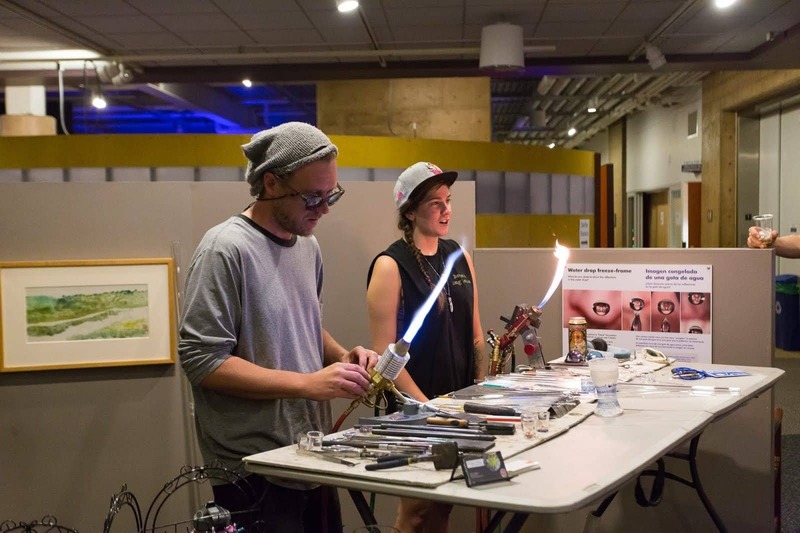 Get hands on at Explora! This list is not in any particular order – there’s so much good stuff to do in Albuquerque whatever time of year you visit! Anyone who has read this blog for a while will know that when I visit a new city or town, one thing I love to do is quickly get high above it, get some gorgeous views and orient myself to my surroundings. Well, Albuquerque certainly sated my love. 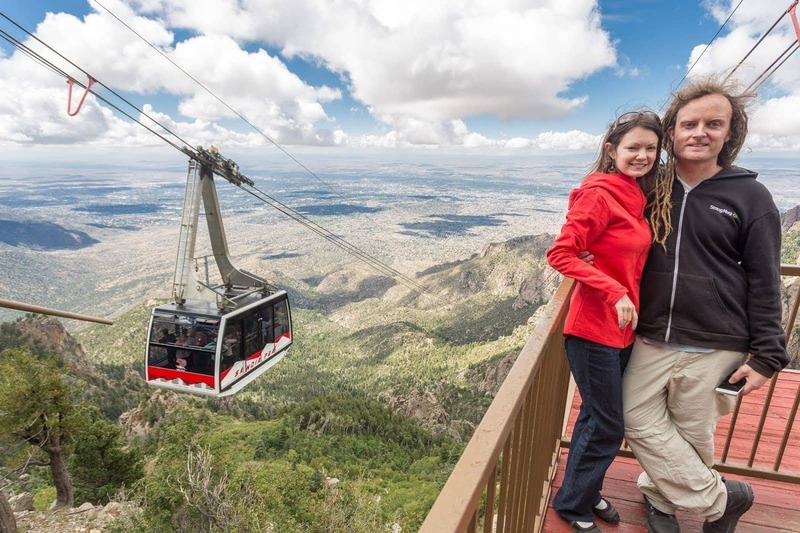 The Sandia Peak Tramway, which runs to the top of Sandia Peak, is the world’s longest tramway, and at the top there’s an observation deck which, at 10,378 feet above sea level, certainly gave me quite a view! 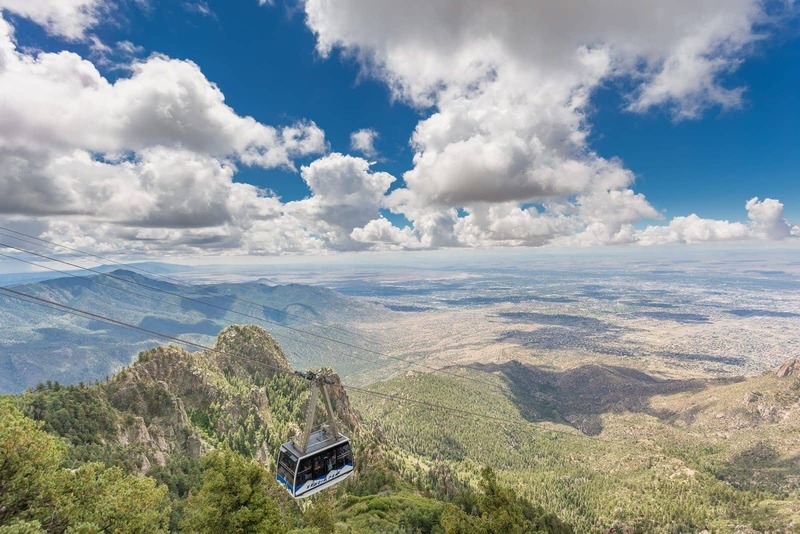 From this location we could see the entirety of Albuquerque below us, as well as quite a lot more – on a clear day the view encompasses 11,000 square miles! Certainly a great way to get a feel for Albuquerque and her surrounds. As well as the tramway and observation platform, there are hiking trails along the ridgeway, and we did a half hour version of one of these, up to Kiwanis Cabin, for even more extensive views. We can also recommend coming up here for the sunset – it’s definitely one of the best places in the area to watch it! I’ve already waxed lyrical on the blog about the annual Albuquerque International Balloon Fiesta. Bottom line, if you have the chance, you should go. For more compelling reasons, see my photo essay, and for all your Balloon Fiesta planning needs and details, see Jess’s extensive guide on planning a trip to the Balloon Fiesta. Of course, the Balloon Fiesta does only happen over a short period, and for the rest of the year you might think you have to miss out on ballooning goodness. Nothing could be further from the truth! 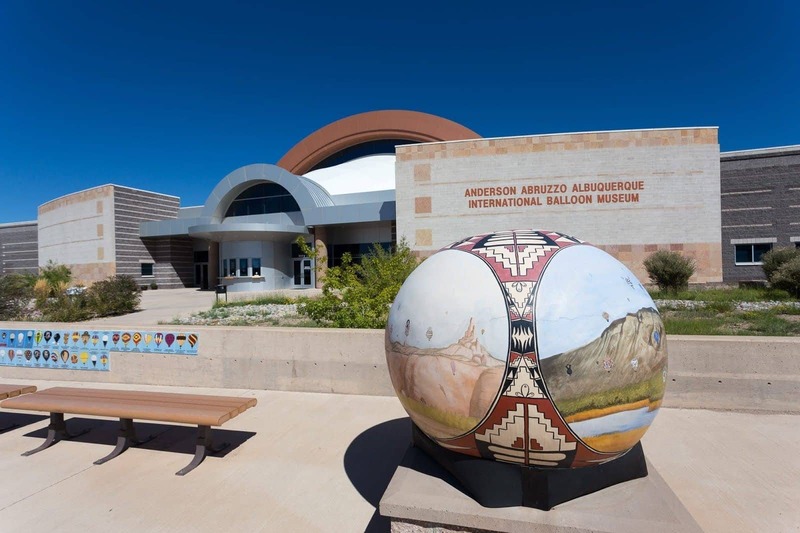 Ok, so you might not get quite the experience of watching 600 balloons float into the sky together, but the Albuquerque Balloon Museum is definitely the next best thing. Filled with pretty much everything you could ever want to know about ballooning, from its early beginnings to the modern day sport, we really enjoyed our visit to the balloon museum. A highlight for me was definitely the balloon simulator, although I have to admit I didn’t exactly cover myself in glory – running out of fuel and crashing in short order! It turns out flying a balloon might be harder than it looks. A part of Albuquerque that has to be visited is the historic Old Town Centre. Founded in 1706, and home to the oldest building in the city (the San Felipe de Neri Church, dating from 1793), today the historic old town is a hub of shops, restaurants, and museums, housed in beautiful old adobe buildings. There’s a lot to see and do here (over 100 shops, galleries and restaurants! ), so you’ll want to allocate a good amount of time to be sure you get to see everything you want. 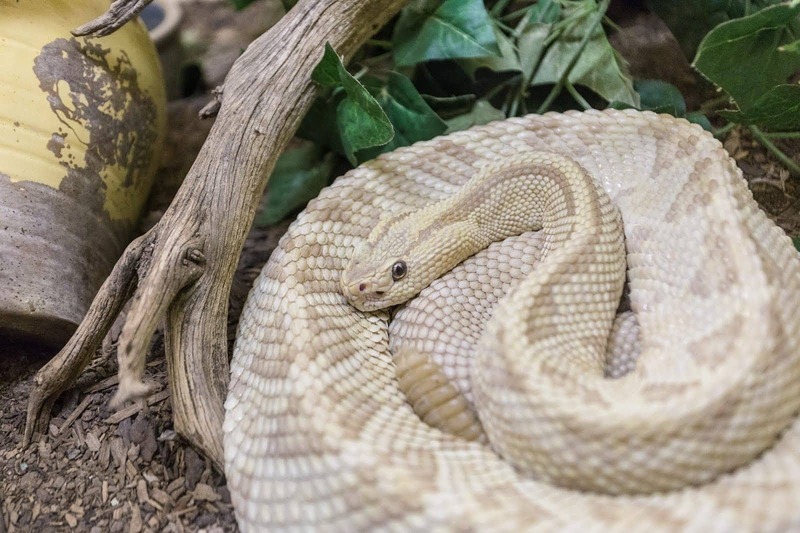 Our advice would be not to miss the Rattlesnake Museum, the Candy Lady’s store, and the beautiful photos at the Albuquerque Photographers Gallery. Who knew Albuquerque had such a thriving beer scene? Well, I didn’t although Jess did. I quickly learnt all about it. 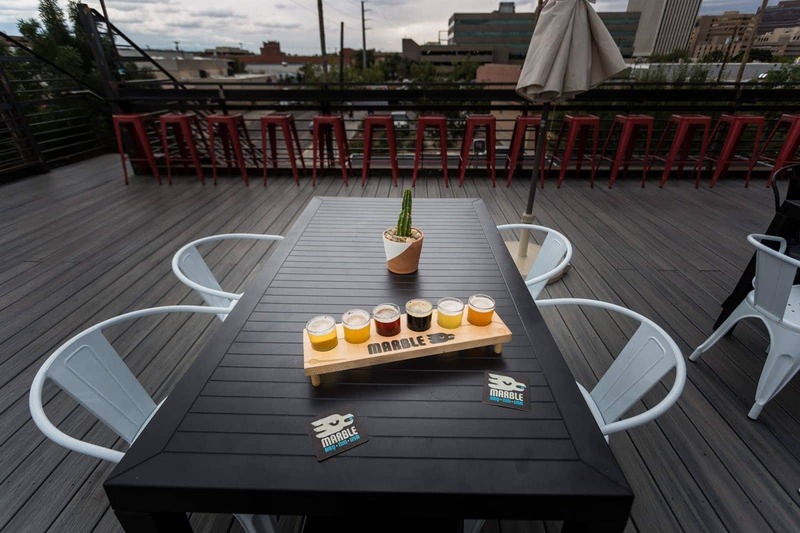 Marble Brewery – Founded in 2008, Marble Brewery is one of the oldest and largest craft breweries in Albuquerque. 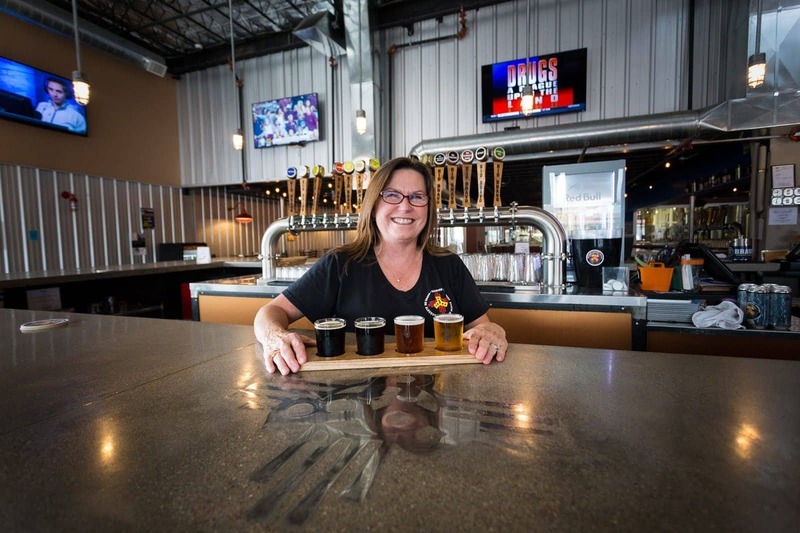 They’ve won multiple awards for their beers, and their new rooftop bar on top of their brewery pub is a great place to hang out and sample their brews. 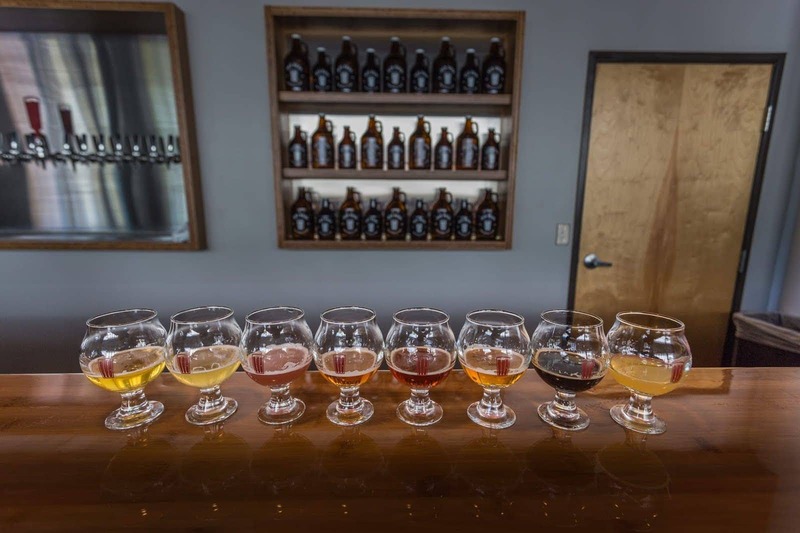 Red Door Brewing Company – Started in 2014 and already with a second city location under their belt, the Red Door Brewing company is obviously not planning on slowing down any time soon. They offer a variety of delicious beers, with the coffee porter a particular favourite! 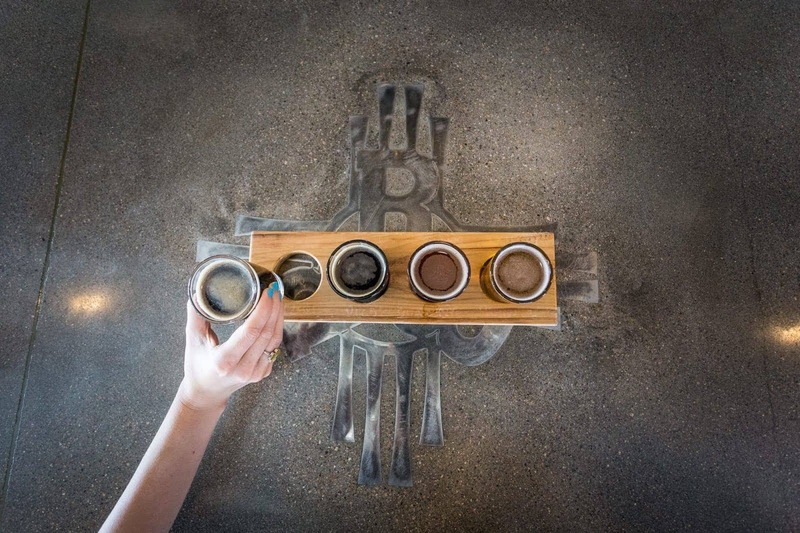 Rio Bravo Brewing Company – One of the newest breweries in Albuquerque, you’ll find this brewery and pub a little way north of downtown, on 2nd St NW. The venue is pretty funky, with lots of big TV’s, plenty of seating around an enormous bar, plus bar games to play. We had an incredible time eating in Albuquerque. New Mexican cuisine is fantastic, so much so in fact that I’m going to have to write a rare food based post just to cover it! In this post though, there were a couple of more unusual food options that I did want to mention. First of these is the Golden Crown Panaderia. 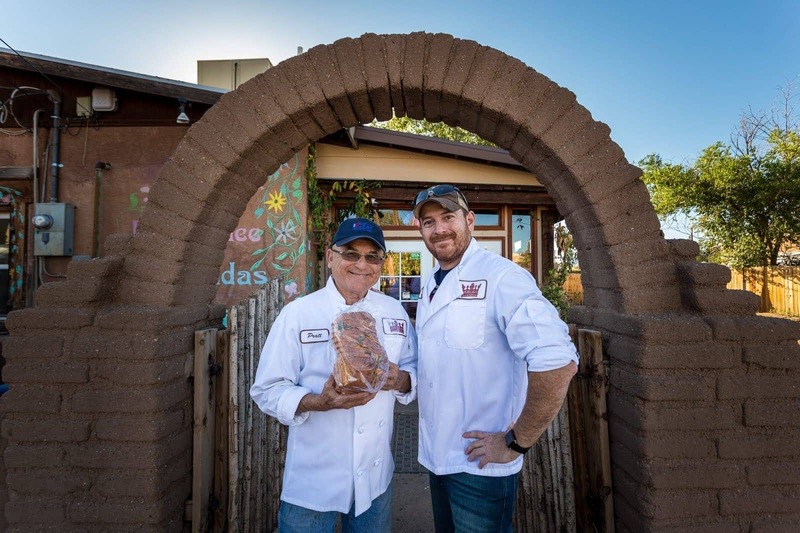 This is, as far as we could tell, the only New Mexican bakery out there, and they are remarkably good at what they do, which is creating delicious baked goods. As soon as you walk in you are treated to a complimentary biscochito (New Mexico’s state cookie! ), after which you have to make a decision from a whole range of incredible goodies. Don’t miss the green chile bread! If you have a chance, we’d also recommend having a chat with owners Chris and Pratt Morales, the father / son team behind the bakery, if they happen to be around. We had the luck to sit down with them and chat for a while about their lives, their passion for baking, and how lucky they feel to be able to have such a wonderful property and product. Pratt has been baking for over thirty years, and his experience and love of the trade shines through in his words and, of course, in the baking! Not to be missed. 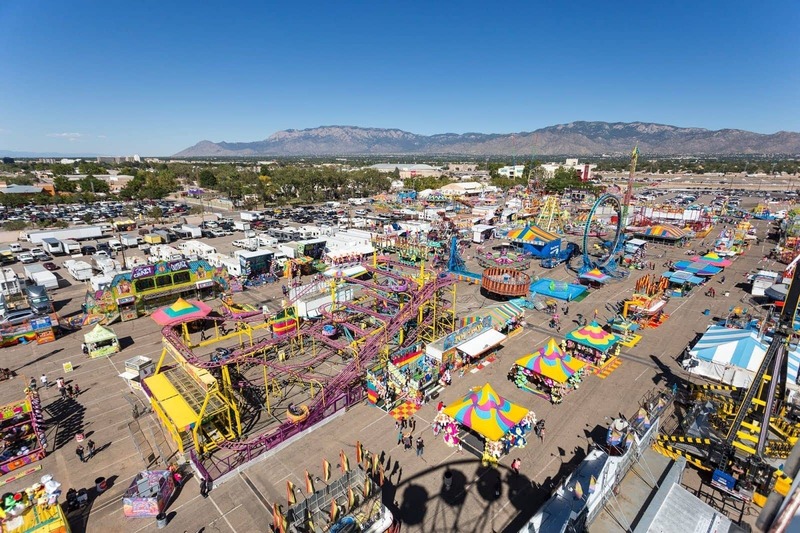 A State Fair in the USA is a big deal, and while we were in Albuquerque we were lucky enough that the New Mexico State Fair was in full swing! Usually running for ten day in September, if you have the chance to attend, we’d definitely recommend that you do so. You’ll find everything from fairground rides through to animal displays, art exhibits and of course, plenty to spend your money on. It’s a fun atmosphere, and if you’re from overseas like me, is a definite cultural experience! 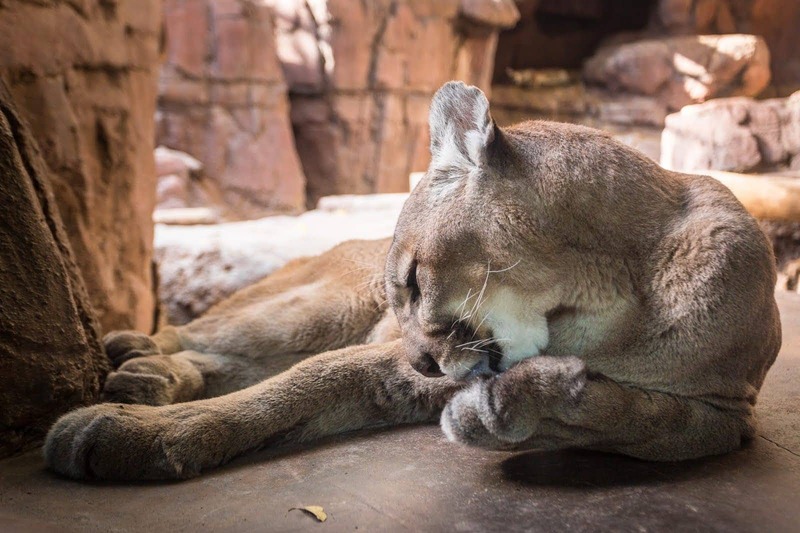 Part of the Albuquerque Biopark, which includes a number of attractions, the Albuquerque Zoo is a 64 acre park which is home to exotic animals from all over the world. We really enjoyed wandering the different exhibits – Jess obviously loved the big cats – and we were impressed by how well put together all the habitats were. It’s a good way to see a large variety of wildlife in a short period of time, covering everything from apes to zebra. Just don’t do what we did, lose track of time and nearly get locked in – the gates are closed at 5pm sharp! When Jess said that Albuquerque was one of her favourite places to take afternoon tea, I had to be doubtful. I mean, I’m British, so obviously somewhere in England should be near the top of the list. But no, apparently, despite our extensive afternoon tea research across the world, including in London, Paris, San Francisco, and Vietnam, it turns out that Albuquerque is a good place to go for a truly wonderful afternoon tea experience. The exact location is the St. James tearoom, a truly luxury tea experience, where for a couple of hours Jess and I were whisked away from our every day cares and into a private nook, where we experienced a fantastic Orient Express themed meal (themes change regularly) accompanied of course by piles of tea. Jess has written about our St. James tearoom experience, in a post which is jam-packed with information and photos from our trip there. Suffice to say, if you like afternoon tea, or are just after a unique experience in Albuquerque, this is a good one to go for! 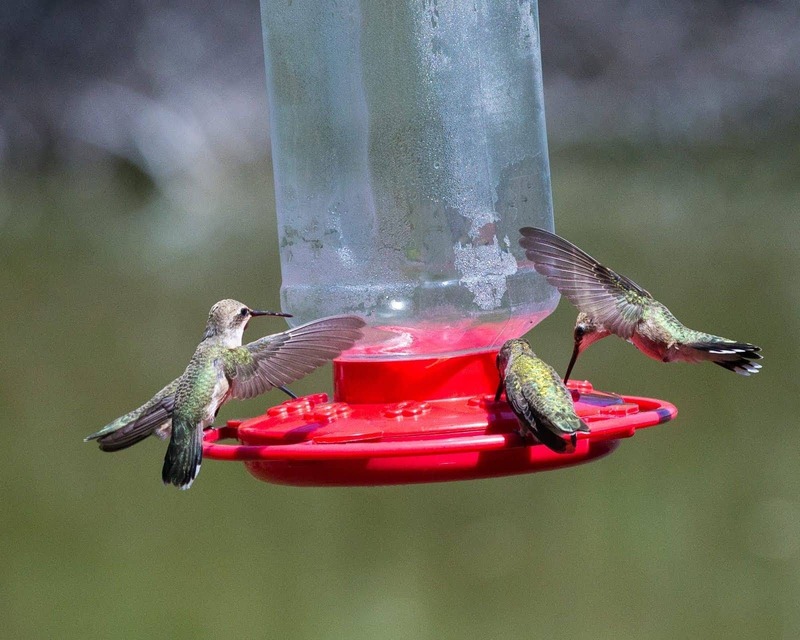 If you’re into wildife, and particularly birds, then a visit to the Rio Grande Nature Centre State Park should be at the top of your list. I’m not necessarily a huge bird watcher (sorry Mum! ), but even I was mesmerised by the humming birds that we saw at the feeder! There are trails you can walk, right up to the edge of the Rio Grande river itself, and the centre is informative, with staff on hand to give advice and tips on what you’re likely to see and where. For a bit of nature in the heart of the city, this should make your list. I had no idea before I visited, but Albuquerque is a bit nuts about festivals. 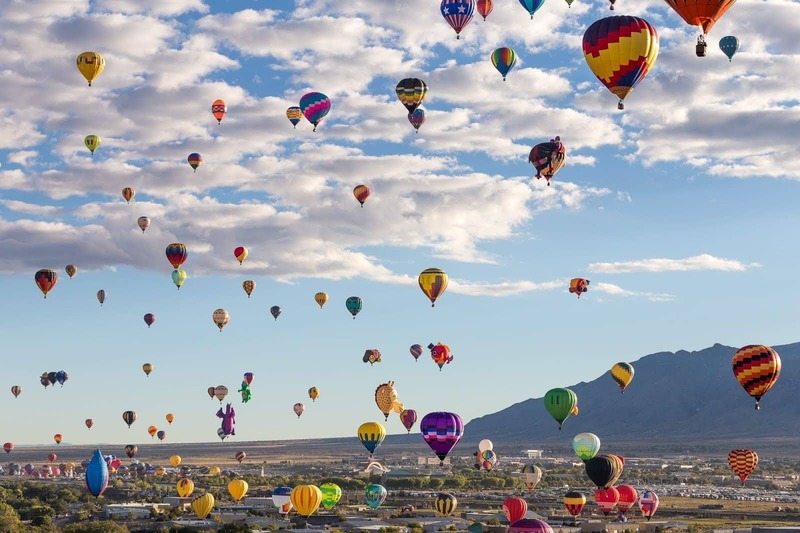 While we were there, we attended a whole range of festivals, including the Mountain West Brew Fest (beer and wine), the New Mexico Wine & Jazz Festival, the Rio Grande Arts & Crafts Festival and of course, the Albuquerque International Balloon Fiesta! Whenever you visit Albuquerque you are fairly likely to find some kind of festival going on. Check out the official city events page for information. Something else that surprised me about Albuquerque was quite how much public art there is on display. 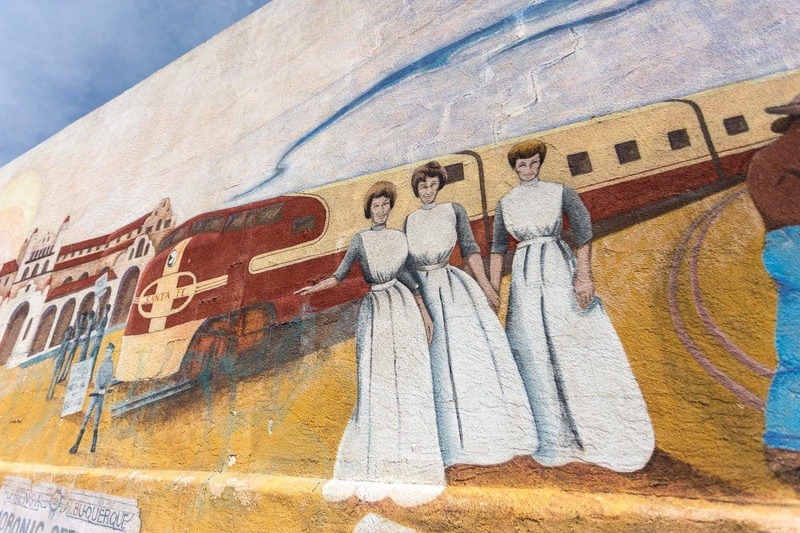 This ranges from giant wall murals to statues, and basically it’s hard to walk for more than five minutes in downtown Albuquerque without finding something. 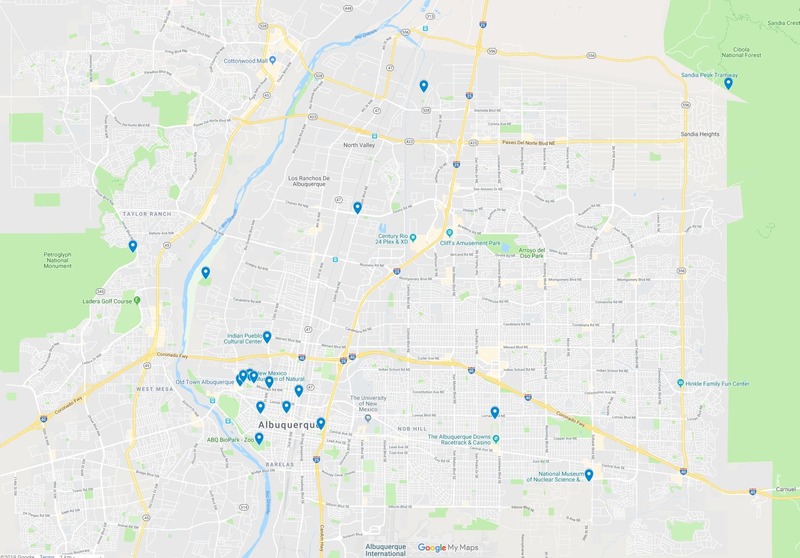 If you want to be a bit more structured in your wanderings, you can grab the ABQ Public Art App from Google Play which will lead you to all the public art installations across the city. And it’s free. Hurrah! Turns out there is A LOT to do in Albuquerque, and these were just my favourite things! We did even more than fits on this list. Another highlight for us was definitely the New Mexico Museum of Natural History, which tackles all things, well, Natural History. Which, of course, means dinosaurs. 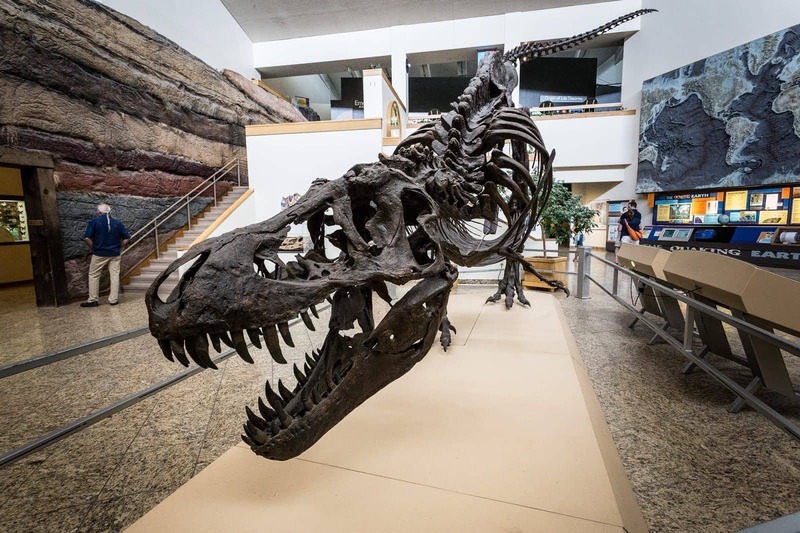 New Mexico is actually a dinosaur treasure trove, with multiple fossil finds from all around the state. So it makes sense that the Natural History museum has some excellent dinosaur exhibits. It’s more than just dinosaurs though. We went on a journey through a volcano, experienced time travel, and learnt about the cosmos. We also enjoyed chatting to the staff, who were supremely knowledgeable as well as entertaining. Definitely a museum to visit. Near the Natural History museum is The Albuquerque Museum, which focuses on the history, art, and culture of Albuquerque. I do have to admit to not always being a museum person, but I did really enjoy both of these museums. In particular, the Route 66 exhibit that was going on at the museum was very interesting, as were the sections that focused on the history of New Mexico, from it’s native American routes, through to the Spanish settlers. These weren’t always uplifting tales to read, but the information was well presented and I appreciated the learning opportunity! If you like your locations of learning to be of the interactive variety, then you’re going to go mad for Explora! This is, as far as I can best describe it, an adults science adventure playground (ok, it’s great for kids too! 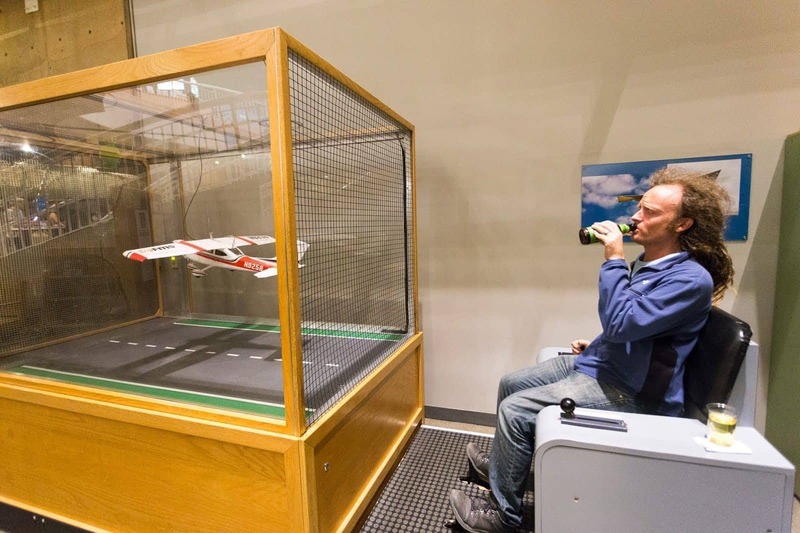 ), where you’re encouraged to do everything from fly model planes to create giant soap bubbles. We visited when they were having an adults evening, which basically meant they had wine and beer as well as a number of demonstrations, as well as a number of other activities including a disco. There’s nothing quite like having a beer, listening to some music, and trying to create the biggest soap bubble you can. There are 19 Pueblos in New Mexico. If you’re not sure what that means, well, a pueblo is basically a Native American community which has it’s own culture, tradition and art, and it’s usually based around a specific location – these aren’t nomadic tribes. Some of these pueblos are open for visiting, including the Taos Pueblo and the Acoma Sky City Pueblo – two experiences we also recommend. However, if you’re in Albuquerque, you can get a great introduction to the Pueblo cultures (and food!) by visiting the Indian Pueblo Cultural Centre. 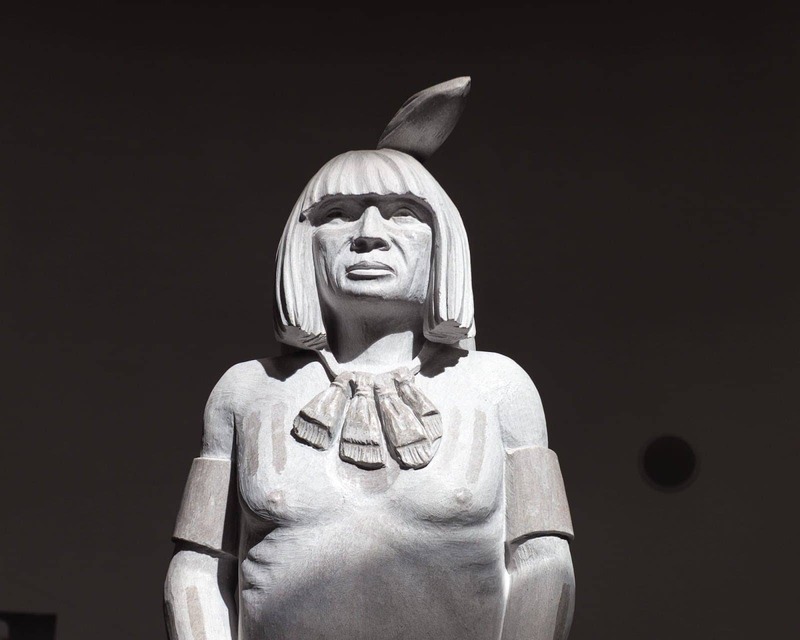 Here there is an excellent exhibit on the history of the Pueblo people, from their early beginnings and culture, through to their encounters, subjugation, revolutions and somewhat uneasy co-habitation with European settlers. 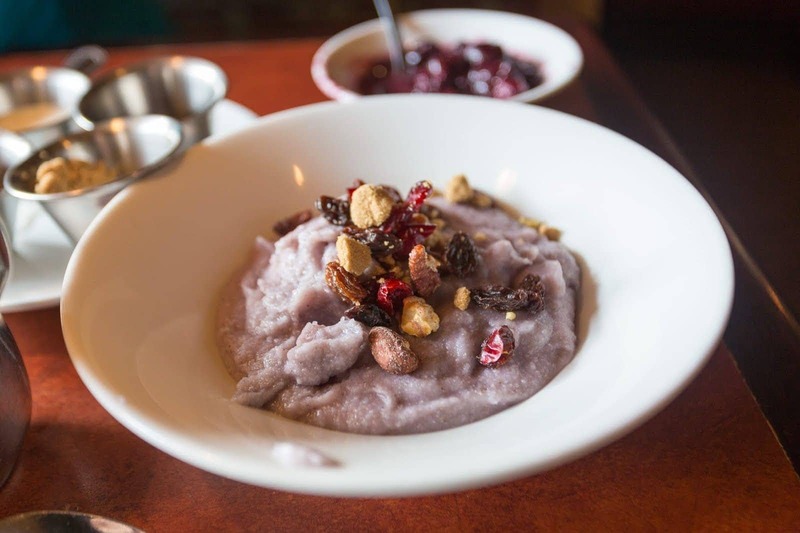 The site is also home to a restaurant which is going to make it into my food post, but, as a spoiler, you need to visit here for breakfast, and in particular, try the blue corn pancakes, which are unbelievably good. 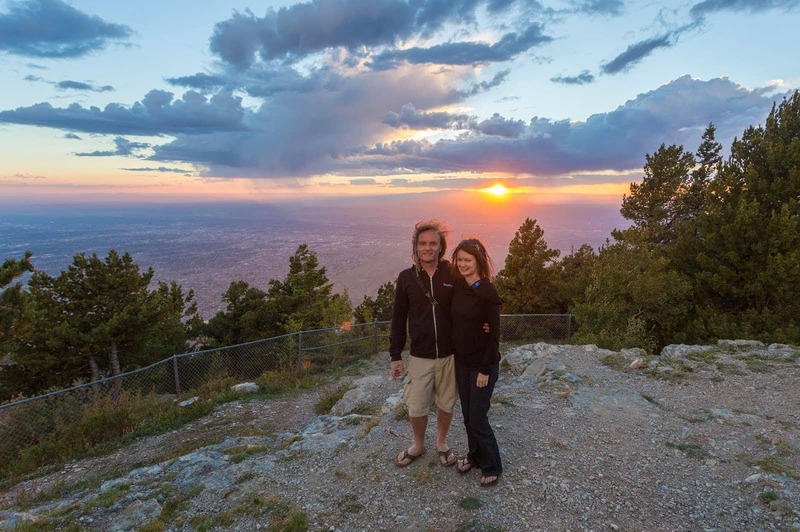 Whilst Sandia Peak is a great place to watch the sunset from, it’s notably lacking in having a wide-ranging selection of cocktails. It’s also a bit of a trek from downtown. For these reasons, we can recommend heading to the Apothecary Lounge at the Hotel Parq Central. Formerly a psychiatric hospital, the Lounge has taken on board some of the themes of the hospital for it’s furnishings and beverages. 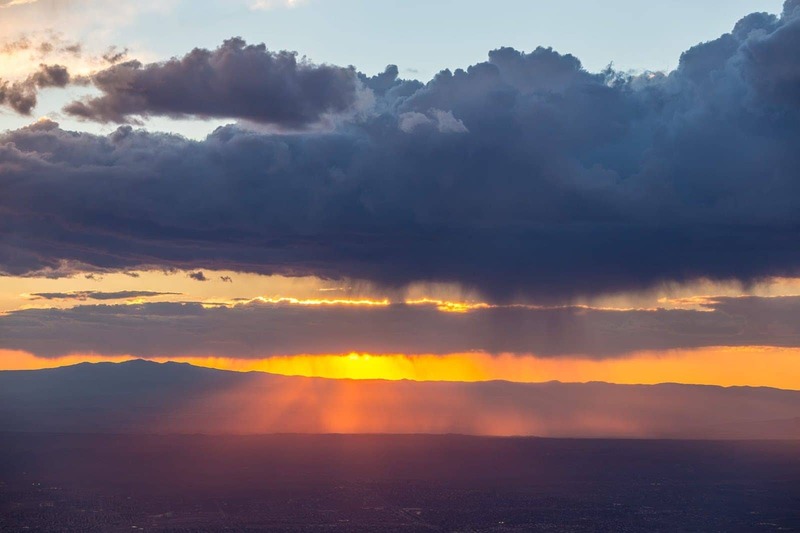 Most impressive though is the view – Albuquerque is not a city with a lot of high buildings, so even being a few floors above ground can result in a panoramic viewpoint. This is a great place to watch the sunset, and we’d recommend trying the green chile margarita for something a little different! In 2015, Jess and I drove the entirety of Route 66, which just happens to pass right through downtown Albuquerque. In fact, because Route 66 changed route a few times over its lifetime, Albuquerque happens to be the only place where you can stand on the intersection of Route 66 and Route 66, which is pretty cool! That’s not all of course. There are a number of Route 66 attractions in Albuquerque, the majority of the food variety. 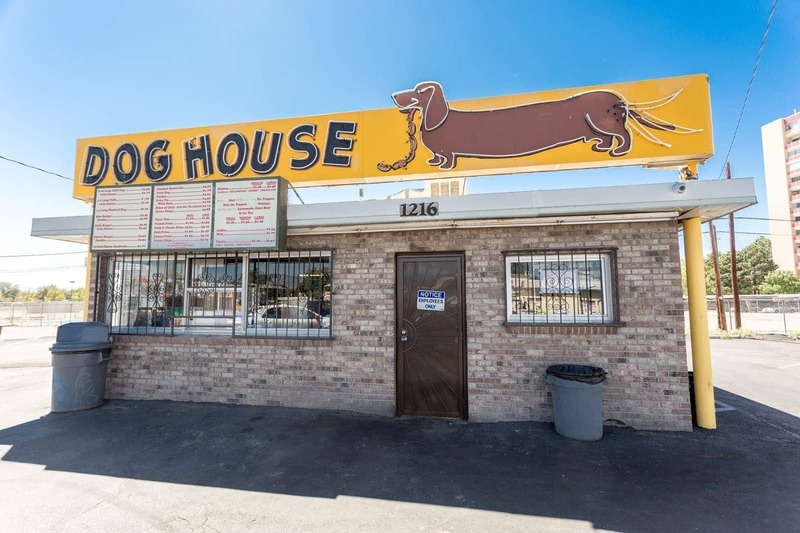 One of our highlights was the Dog House Drive In, a hotdog spot which has been serving up staples like hot dogs smothered in chilli for over sixty years. It’s also worth checking out the Route 66 Diner. 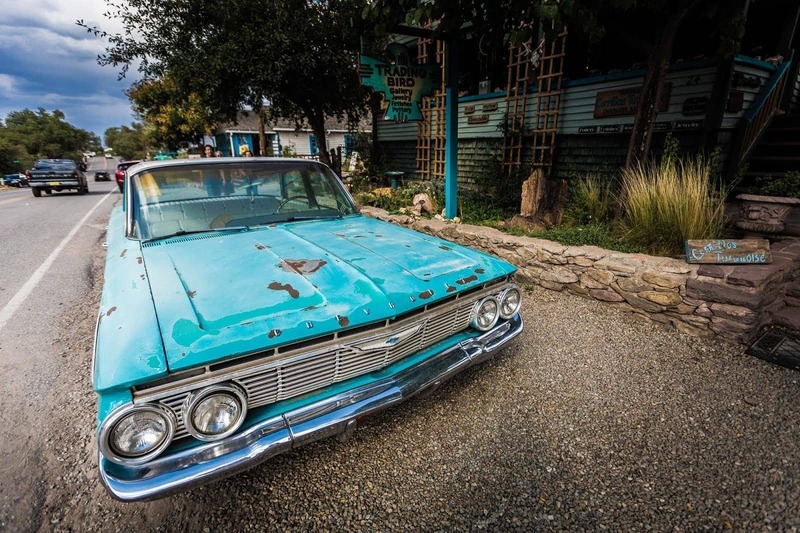 See more of our Route 66 experiences in New Mexico right here. Another food option I have to mention. Food trucks have become a big deal across the US (and the world! ), and Albuquerque is no exception to this rule. 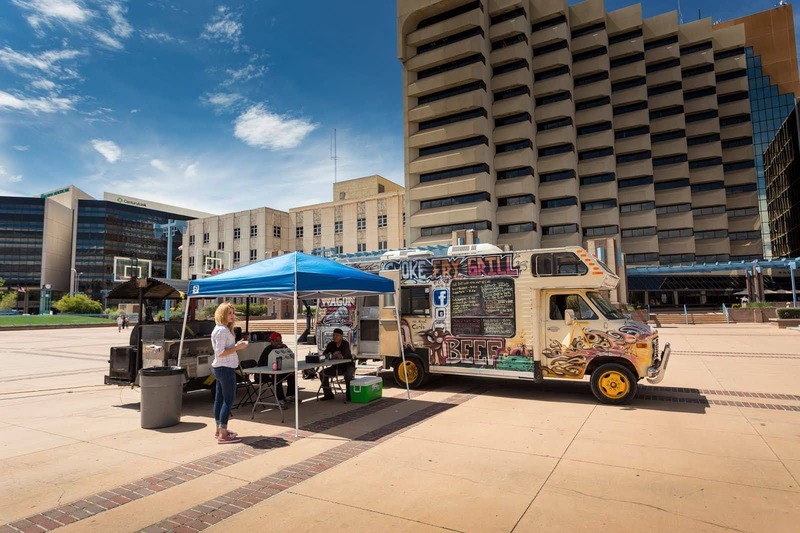 A good place to start is the Civic Plaza on a Tuesday, where some of the cities best food trucks congregate to offer you a range of delicious lunchtime dining options. You’ll find everything from BBQ to frozen yogurt, and you can eat by the fountain, or in the shade. Something for everyone, and at a great price too! 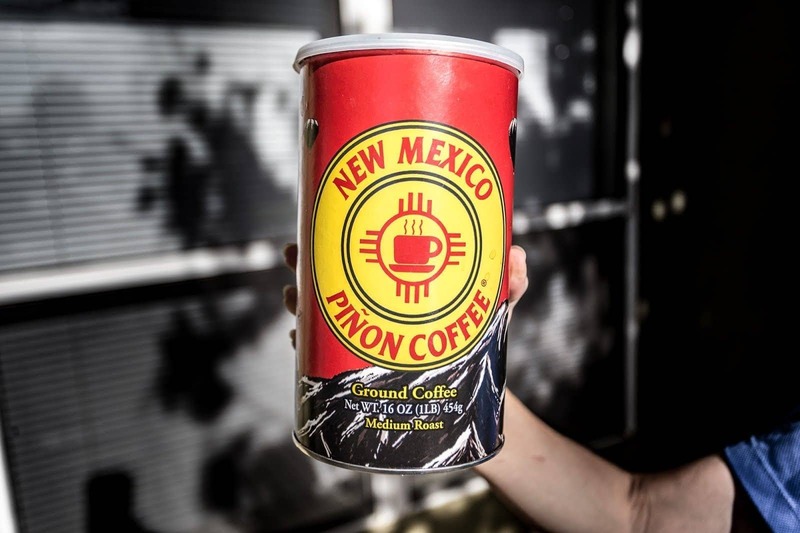 Locally roasted in Albuquerque, Pinon coffee is a New Mexico classic. It’s a bit of an acquired tasted, because it’s flavoured with the Pinon Nut, an edible pine nut which has been a part of the staple diet in this part of the world for a very long time. It adds a distinct flavour to the coffee which can be a bit of an acquired taste, but I absolutely loved it, and it’s definitely something I miss about Albuquerque and New Mexico! 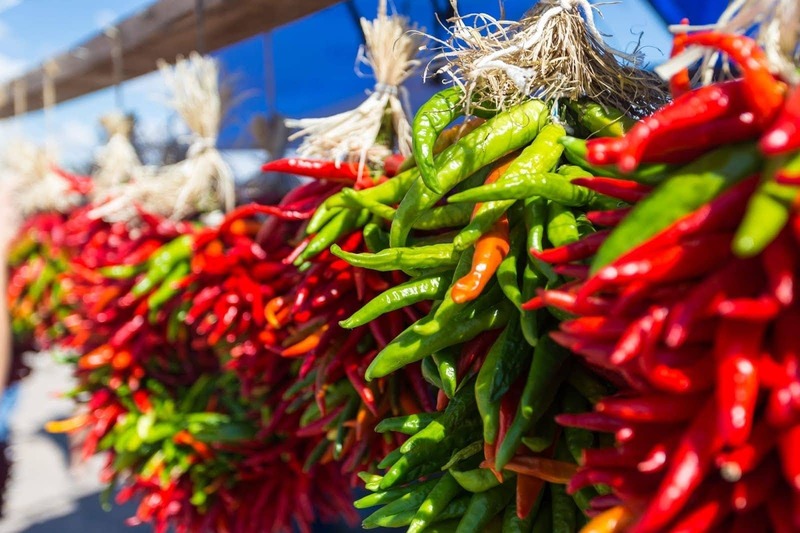 New Mexico has what could best be described as an obsession with the Chile – so much so that it is the state vegetable! It comes in a variety of styles, with the most common being the red or green chile sauce that you can add to pretty much everything you eat in New Mexico – even at McDonald’s. In the Fall season, the green chiles are roasted, and the streets come alive with the smell of delicious roasting chiles. My favourite way to eat it chile has to be on top of a cheeseburger in the form of the famous Green Chile Cheeseburger! You’ll find plenty of places serving these up all around Albuquerque and New Mexico (there’s even a Green Chile Cheeseburger Trail) – just make sure you try it somehow. We have a guide to the best restaurants in Albuquerque, many of which feature fantastic authentic New Mexican cuisine, so definitely check that out if you need some inspiration! Just to the west of the city you’ll find the Petroglyph National Monument. This is a National Monument, and is the location of one of the largest petroglyph sites in the USA. What is a petroglyph you ask? Well, it’s basically rock art. The designs all over the rocks here are around 400 to 700 years old, and were created by both Spanish settlers and the Native American people of the area. There are a number of trails at the National Monument, three of which offer good opportunities to see the petroglyphs up close. Boca Negra Canyon is probably the most popular, as there’s a large expanse of petroglyphs that are accessible from a flat trail, as well as a short and steep hike up to an overlook with an excellent view across the city. There is also a visitor centre, where you can learn more about the petroglyphs and get information on the trails. However there aren’t any petroglyphs at the visitor centre – you have to drive to one of the trail areas, which are Boca Negra Canyon, Rinconada Canyon and Piedras Marcadas Canyon. Those of you familiar with military history will know that the development of the atom bomb in World War 2 took place in New Mexico, in the town of Los Alamos. 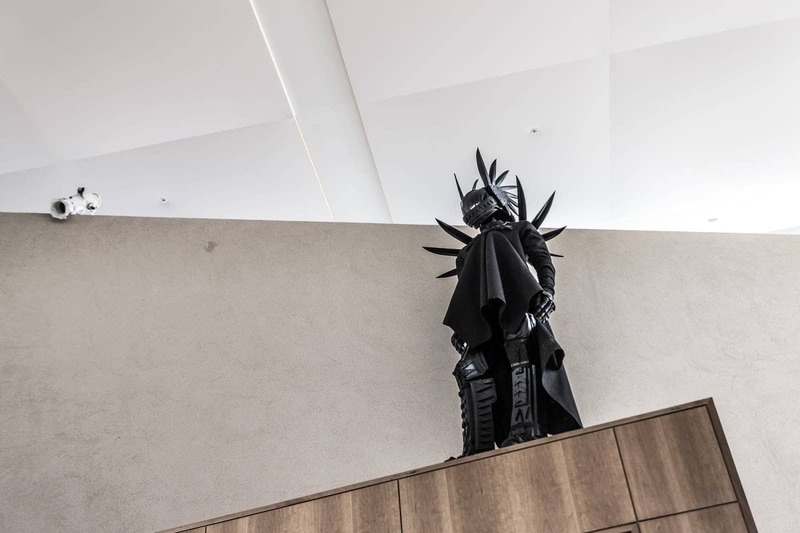 Today you can visit the town and tour the informative museum to learn all about the people and science that went into making these terrifying weapons. 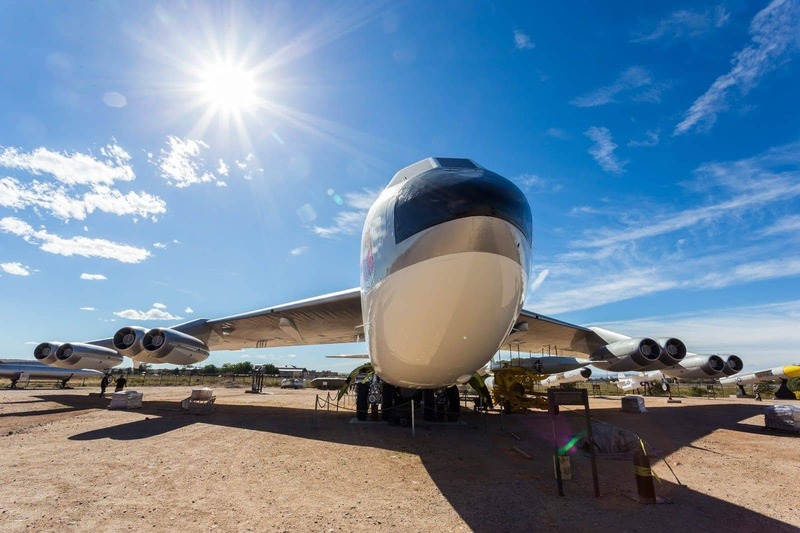 However, if you aren’t heading to Los Alamos, you can also learn about the history of all things nuclear at the National Museum of Nuclear Science in Albuquerque. This has information on all kinds of things related to nuclear science, including nuclear energy, nuclear weapons, the cold war and even nuclear medicine. There’s also an excellent outdoor exhibit which includes a number of rockets, aircraft and other military hardware. To help you visualise where all the above are, and to aid in your route planning, we’ve put together a map of all the above attractions. You can also see these on Google Maps here. There’s no shortage of places to stay in Albuquerque, so for most of the year you shouldn’t have any problem finding somewhere to suit your budget. The only exception to this rule is if you visit during the Balloon Fiesta, when accommodation becomes much more expensive, and harder to find. 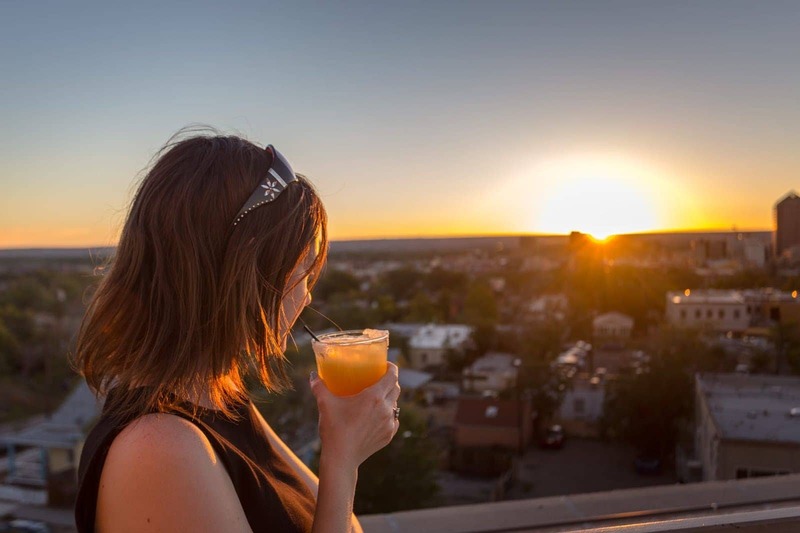 For tips on finding accommodation during the Balloon Fiesta, check out Jess’s comprehensive guide to the Albuquerque Balloon Fiesta. Otherwise, our go-to option for accommodation when we travel is Booking.com. They have an extensive selection of properties, which range from hotels to hostels and even apartments. Many have no-fee cancellation policies, and often run discounts and special offers. Here are some options to consider for your trip. Motel 6 Albuquerque South – If you are on budget, this is a good no-frills budget chain motel. It gets good reviews and has great prices. El Vado Motel – a fully restored and refurbished Route 66 era motel, offering lovely accommodation in classic surroundings. There are also a range of food options on site, provided by local food businesses. Monterey Non-Smokers Motel – Next door to El Vado, this is another classic Route 66 era motel. This one has more of a traditional classic motel feel. Hotel Parq Central – This hotel is where we had our sunset drinks. It’s a modern 4-star hotel found in a historic 1926 building, which was originally a hospital. Los Poblanos Historic Inn & Organic Farm – Found in quiet Los Ranchos, a short drive from the city centre, this is a wonderfully peaceful 4* hotel offering a range of room types. We had dinner here and it was excellent. 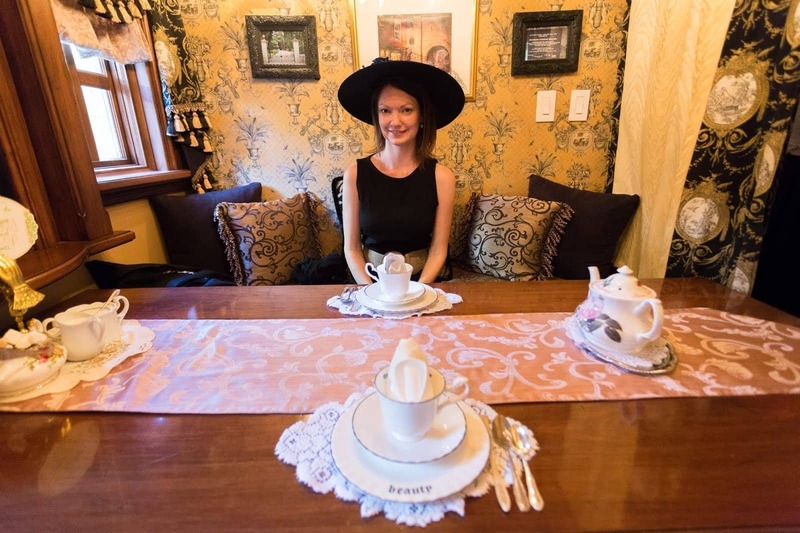 Bottger Mansion – This is a wonderfully romantic and historic B&B, just three minutes walk from the old town. With only seven rooms, you are guaranteed the personal touch. Hotel Andaluz (125 2nd Street NW) – A 4-star luxury hotel located just off Central Avenue A modern hotel with New Mexican and Mexican influenced decor. See the full listings for Albuquerque here! You have a number of options for getting around Albuquerque. Our recommended way is to drive yourself – the attractions can be a bit spread out, and I have to admit, cities in the US tend to be biased somewhat towards people who drive! If you need a rental car, We usually recommend and use Enterprise Car Rental when we’re traveling in the USA, we find they have some of the best prices, particularly on weekly rentals, and a great choice of locations. We also find they’re really competitive for the type of one-way trips that we often do. Of course, there’s a bus service in Albuquerque, which you can use to get around the city. You can find details on pricing, tickets and timetables on the official website. The official Visit Albuquerque website, which has information on what’s going on year round, as well as tips and advice on things to do, places to eat, and accommodation. 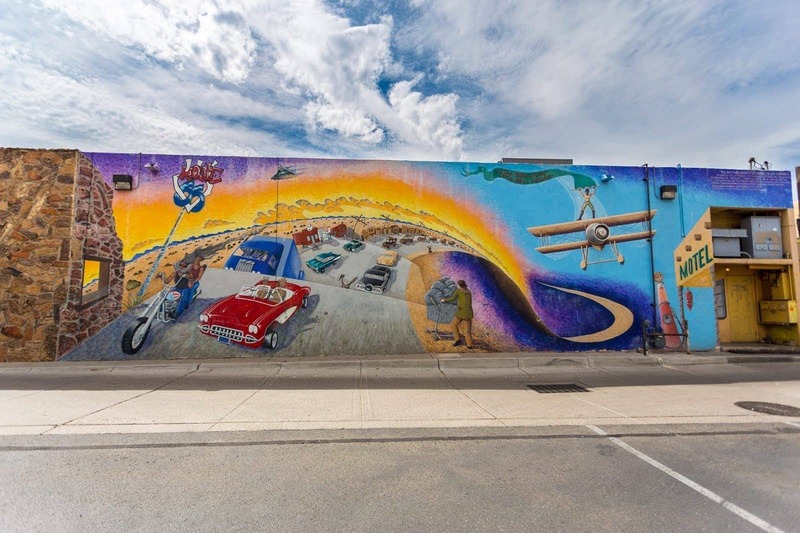 For more on Route 66, which passes through Albuquerque, see our guide to planning a Route 66 trip, as well as our detailed Route 66 itinerary. Beyond Albuquerque, we also written guides to many other cities and locations in the USA. including visiting New Orleans for Mardi Gras, a guide to visiting Baton Rouge, things to do in Savannah, things to do in San Antonio, things to do in Albuquerque, things to do in Cambria, things to do in Santa Fe and things to do in Santa Cruz, to name but a few. See our complete USA content here. 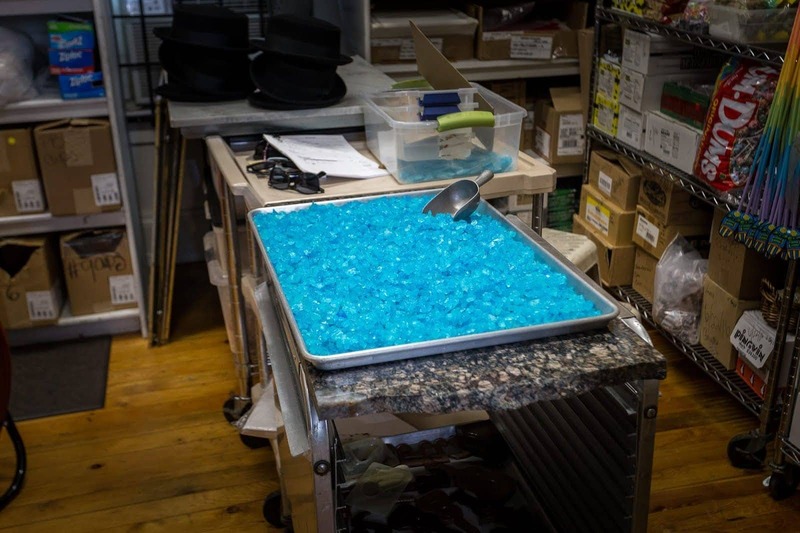 That should certainly prepare you for your trip! And that just about sums up our favourite things to to in Albuquerque. Stay tuned for lots more New Mexico content over the coming months as we share our adventures from our five week visit! Hi Laurence and Jessica, We are planning a Western States (US) vacation this summer June 8-22. Our first stop is in Albuquerque for 2 days. I was wondering if your insight would let us know the “must see” places to see and eat at while there for those days. We love history and culture, so things along those areas would be appreciated. Word of advice, don’t stay near the airport. Look for a hotel near “Uptown” or the northern part of Albuquerque. Those hotels are a bit more expensive, but it’s well worth it. Albuquerque is at the top of the list for car thefts. Even better, rent a house in the Northeast or Northwest or on the east side of the mountain. Something else cool to see is the Sandia cave. It’s a bit of a rocky road to get to, but I’ve seen compact sedans there. From the road it’s only about a half mile walk to get to the entrance. Bring a headlamp if you want to go inside. El modelos is good new Mexican food. Griff’s is a good burger. Dion’s is probably the best pizza, but pizza definitely isn’t a forte of New Mexico. New Mexico beef jerky co has a great breakfast burrito. Just be sure to lock your doors everywhere you go. Thanks for your input and advice. We are in the habit of locking our car doors whenever we get out of the car. Hello, my son is currently doing a year studying abroad at the University of New Mexico in Albuquerque from the U.K. He doesn’t drive over there so is very reliant on public transport which seems to be very sporadic. He’s getting rather down at feeling trapped at not being able to get out of the city and explore more. I wonder, in your experience of Albuquerque, whether you have any advice on how best to get around and to explore the surrounding area without a. car? Thanks for reading, any help appreciated. Certainly, coming from the UK, the US will be a bit of an adjustment in terms of transport, as so many cities just assume you have a car, and Albuquerque is no exception. However, there are a lot of options, particularly for students. The main options are going to be the UNM Shuttle Service (free), public transit (buses are free for UNM students with pass), bike, Enterprise Carshare Program, and then Uber and Lyft. Although Uber and Lyft are more expensive, the costs are minimal if sharing with others or in comparison to the costs of owning a car. Thank you so much for your reply. I know my son has already explored some of those but will certainly pass on your reply to him in the hope that it will help further. Thank you once again for taking the trouble to reply, much appreciated. Awesome list and so informative! I’m curious about your first photo (small stone building). What is it called and is it part of the tram experience or a different hike? 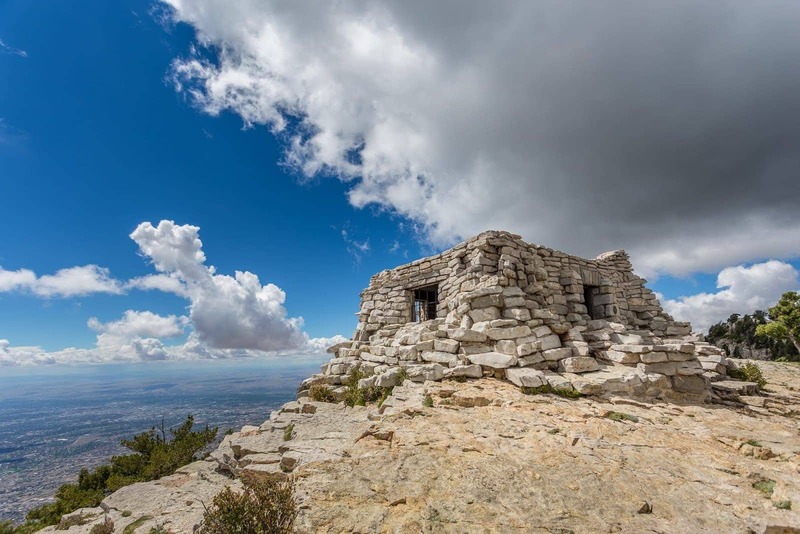 So that is Kiwanis Cabin 🙂 It is a short walk along the trail from the top of the tramway, and was a stone shelter built in 1936 as a shelter by the Civilian Conservation Corps! Hope this helps and that you get up to it, it’s pretty neat! We are new to the area and are looking to do fun things with the family. After getting settled into our new home I think that seeing what this city and the surrounding area has to offer sounds like a nice break. Thanks for putting this excellent list together and saving me and the family the effort of planning so we can get to the playing! Our pleasure – we hope you enjoy this list very much! We were just in Albuquerque for the Balloon Fiesta last month and had an awesome time again 🙂 Such a great city! Great post! I am new to the area, I just moved to Las Lunas to the new Express Homes community and so far I love it here. 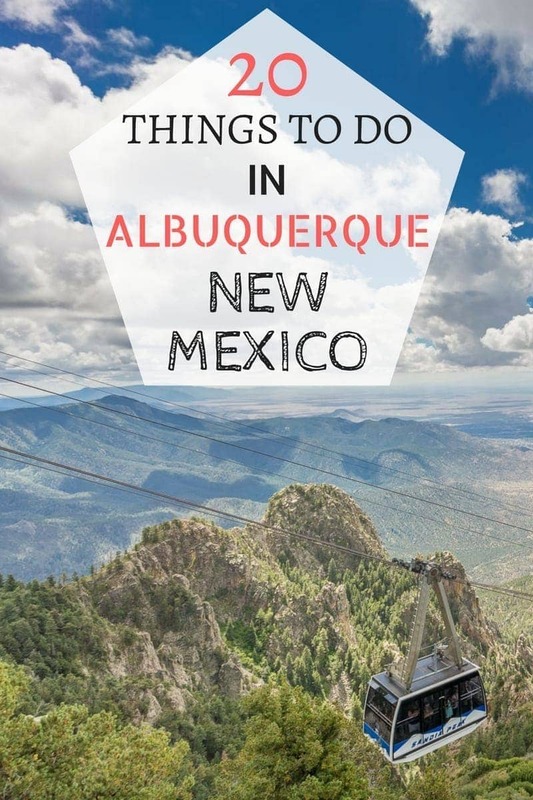 This list looks amazing I am really looking forward to really exploring the ABQ. Thanks again. Our pleasure Mark. Enjoy your time in the city! We were just there a couple of weeks ago for the Balloon Fiesta and had a great time! Excellent list and reccomdations! Thank you kindly. Will be there the for the balloon festival Oct. 2018. Can you please email with dressing code… I live in shorts all the time.. not sure if it’s cool around this time of year. Sneakers?? Flip flops??? Thanks much ? 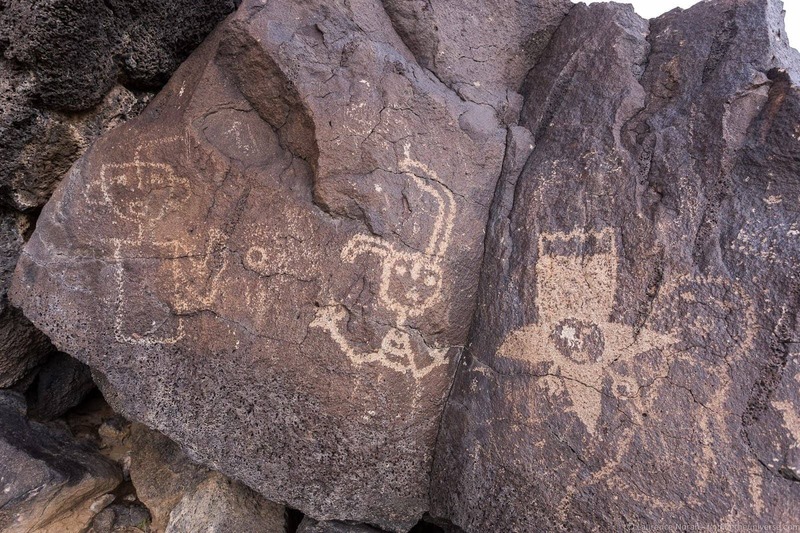 The Petroglyphs on the West Side and Volcano Vista are fascinating drawings of a culture long gone. A small hike to Volcano Vista is a great way to experience the vast expansive vista from the West Mesa to the Sandia Mountains. And if you are uncomfortable with the heights over gapping canyons this is an easy second place to the Tramway. I will be going to Balloon Fest 2018. Your detailed information will be very beneficial. I’m even more excited after reading through all of your information. Thanks Denise! We’re heading there this year too, can’t wait! 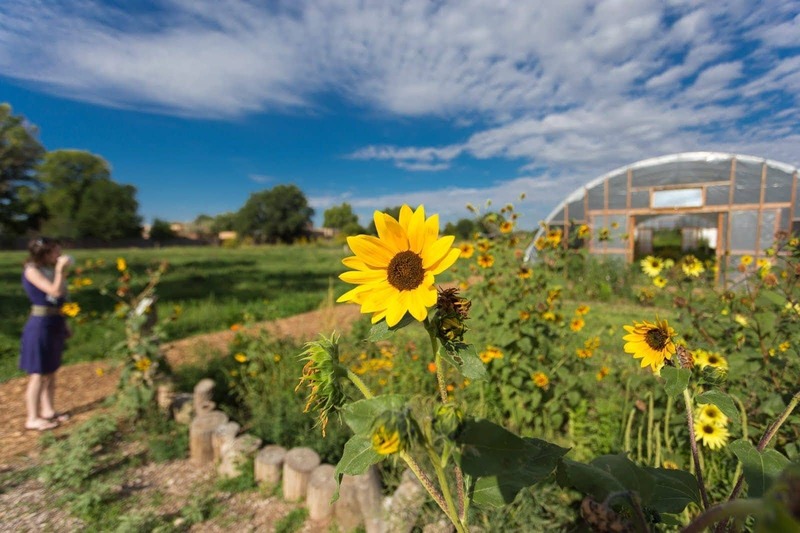 Great post, there is so much to do in ABQ, I love that I am living here! thanks for the post. I found some things I haven’t done yet. This is a great guide! I only visited Albuquerque once, and it was for the balloon fiesta. And since the friend I was staying with lived in Santa Fe, we didn’t really spend time in Albuquerque at all other than to see the balloons! Good to know there’s plenty to do there if I ever decide to go to the Fiesta again. I really haven’t explored my own country enough. I’ve only ever driven through New Mexico on a road trip, and maybe stopped for gas and snacks. I certainly never made it to Albuquerque, but the balloon festival always looks amazing. I think I’ll skip the rattlesnake museum, but all the different food and alcohol suggestions look great! The food in New Mexico is amazing, and the balloon fiesta should be on everyone’s bucket list! This is a heaven sent blog for me! I just moved to Albuquerque to a D.R. Horton home after my husband was relocated for his work. I am a Photography lover, finding the perfect setting and lighting and being able to capture it just sets my world in motion. Thank you for the information. I look forward to being able to capture this beautiful place on film. My pleasure – we hope you enjoy Albuquerque! If you enjoy food, definitely check out our Albuquerque food guide too. And don’t miss the Albuquerque International Balloon Fiesta, it’s incredible! My husband and I moved to Albuquerque from Minnesota 6 weeks ago. This information is very timely and much appreciated! its a good list. and one I will share with friends who come to visit. I am sure there many other things, but I found a few here I was not familiar with. of course, I moved back here after being gone for 30 years or so. sunset from the crest is tops and I insure visitors do the tram. Thanks very much Joe, appreciated!